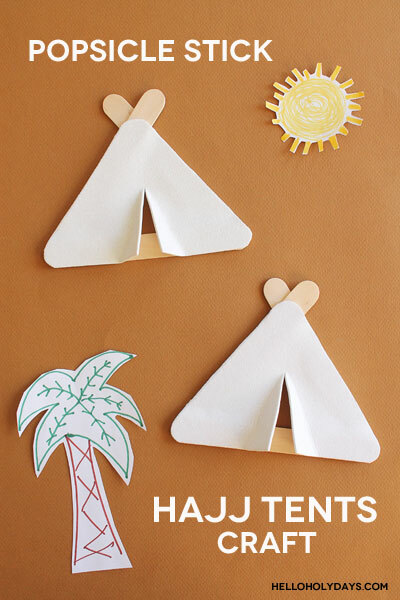 Popsicle Stick Hajj Tents – Hello Holy Days! 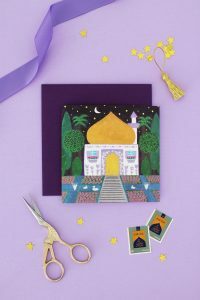 Hajj is fast approaching and to get little ones involved in learning more about the occasion, crafts are always a great idea! 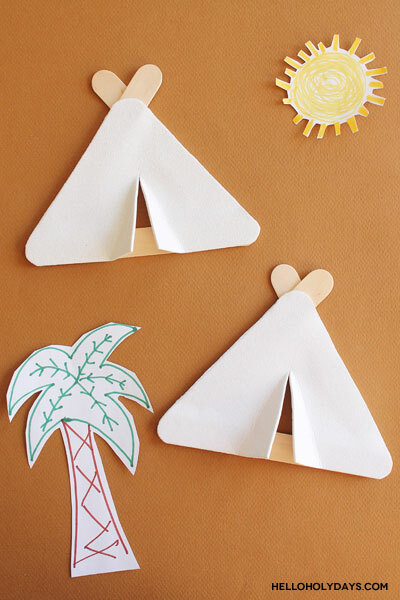 Try these popsicle stick hajj tents with kids aged 2-5 years for a super easy activity that you can do with minimal craft supplies. Make some foam pilgrims to go with the tents (tutorial here) and let the kids use these crafts as props to play out scenes from Hajj. 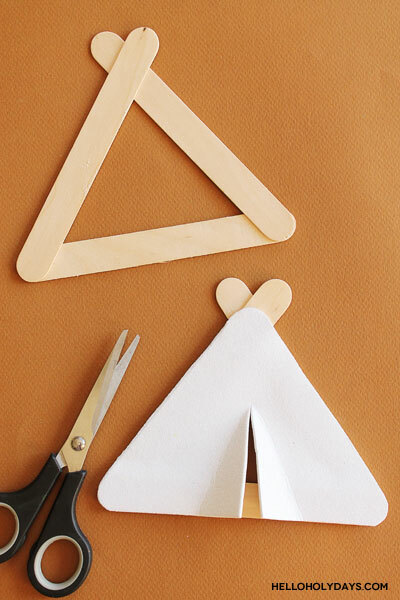 Assemble the popsicle sticks into a triangular tent shape and glue. Trace the popsicle tent onto foam and cut out. 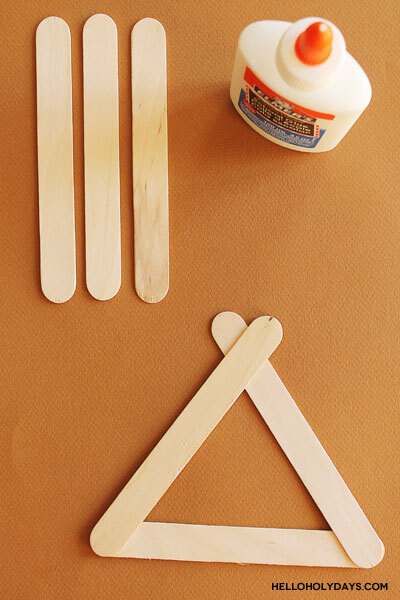 Peel off the self adhesive backing on the foam and stick to the popsicle stick tent. 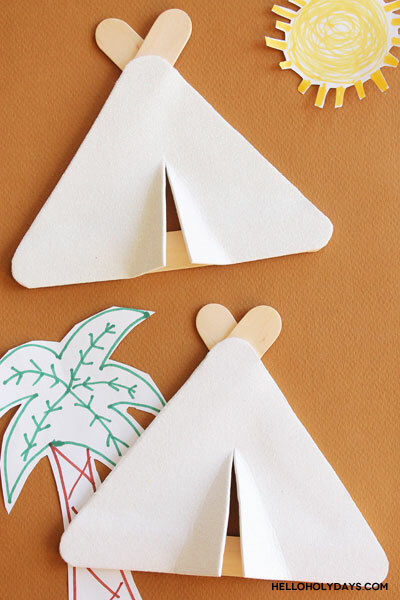 Use scissors to make a slit down the middle of the tent. Fold down the flaps of the slit to resemble a tent.